The Prebendal runs a popular Toddler Group which is affectionately called Shake, Rattle & Roll! 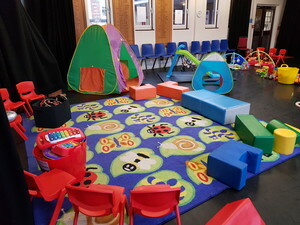 The Toddler Group takes place on Wednesdays during term-time here at The Prebendal School from 9:30am to 11am. There is a musical session (hence the name!) and then there is soft free play and refreshments. The Group, which is for babies right up to pre-school, is just £1 per family per week and it is free for first-time visitors. Please note there is now a waiting list for families to join our Toddler Group so in the first instance please get in touch with the school's Marketing Manager, Suzanne Warner, by emailing marketing@prebendalschool.org.uk. 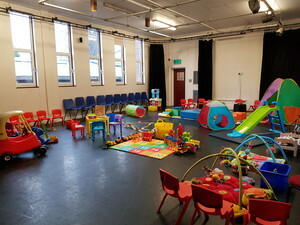 Please note our Toddler Group is currently on its Easter break and will return on Wednesday 24th April 2019 at 9:30am.